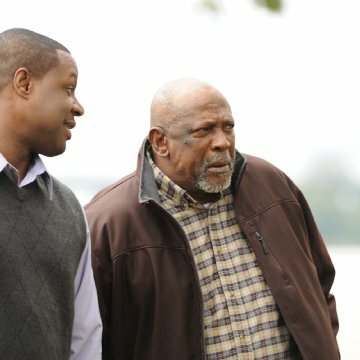 Stars: Michael Joiner, Mike Higgenbottom, Louis Gossett Jr.
Everything can change in an instant ... and take a lifetime to unravel. When Mac McDonald loses his son in an accident, the ensuing 17 years of bitterness and pain erodes his love for his family and leaves him angry with God ... and just about everyone else. Mac's rage stonewalls his career in the police department and makes for a combustible situation when he's partnered with Sam Wright, a rising star on the force who happens to be a part-time pastor and a loving family man. Can they somehow join forces to help one another when it's impossible for either of them to look past their differences-especially the most obvious one? Every day, we have the opportunity to rebuild relationships and heal deep wounds by extending and receiving God's grace. Offer THE GRACE CARD ... and never underestimate the power of God's love. Revealing mistakes: In various car interior shots, a character can be seen sliding his hands back and forth on the steering wheel, pretending to drive, but the steering wheel is not moving. 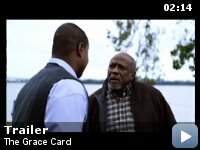 "The Grace Card" is a realistic but miraculous portrayal about loving people who don't deserve it, overcoming old wounds, and forgiveness. Some will reject this movie from the offset because it is a Christian-themed movie, which is unfortunate. It portrays life as it really is, and the struggles we have with wrongs done to us in the past, and the profound moments of letting go, of grace and reconciliation and forgiveness. 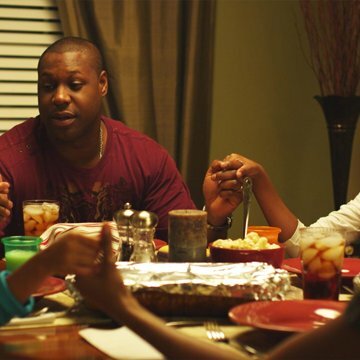 It's the story of a Memphis cop, Bill "Mac" McDonald, who, 17 years prior, lost his 5-year-old son who was an innocent bystander when police were conducting a drug bust on their street. "Mac" turns inward and becomes very bitter, a racist and a perfectionist, straining relations with his wife and other son, and has an attitude problem which keeps him from getting promoted as a cop. Sam has struggles of his own. He is a preacher in a small, somewhat declining Church of the Nazarene congregation that seems to be growing stagnant. Sam had hoped that God would bless his ministry and be able to commit full time to it, but in order to support his family, must remain on the Police force. He's a pretty good preacher, but God seems to be using him in even more effective ways on the Police force. Sam Wright and Bill "Mac" McDonald (the racist, embittered cop) are temporarily placed together as partners on the police force. Despite being emotionally with it, even Sam is deeply hurt by Mac's nonacceptance, unfriendliness, hurtful remarks and scowling hatred merely because Sam is a black man. As a result it hurts his ministry which wants him to preach forgiveness and reconciliation. 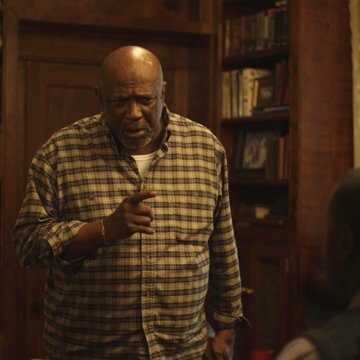 Without giving away too much, it is Sam's grandfather (played by Louis Gossett Jr.) who helps Sam deal with his feelings, and produces a short letter from his grandfather the 1880s that becomes the miraculous premise for helping Sam overcome his hurt. A NEW tragedy in Mac McDonald's family brings Sam and Mac closer together in Mac's hour of desperate, prayer-fraught need. Yes, there is a surprise twist or two in the plot. It should be noted that this movie is the work of a first-time director David G. Evans and scores of first-time actors, sponsored mainly by one church (Calvary Church of the Nazarene, Memphis). Even so, the results are remarkably good. The actors, the police force -- all seem like down to earth, ordinary people pulled together by miraculous circumstances, and a few surprise twists. We see God working profoundly through hearts and circumstances rather than divine intervention and miracles. Only a couple of actors are less than professional and their lines or scenes are short, unobtrusive. Louis Gossett fits in well with his stellar performance. The film also has great shots of Memphis, portraying the city as it really is -- many of the familiar but less known streets and intersections. Don't expect a high-tech thriller. 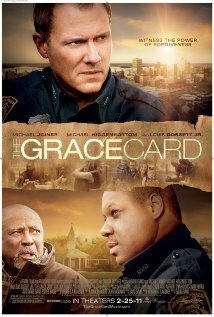 But this is a realistic, down-to-earth slice of life film with a powerful Christian theme of Grace and reconciliation.